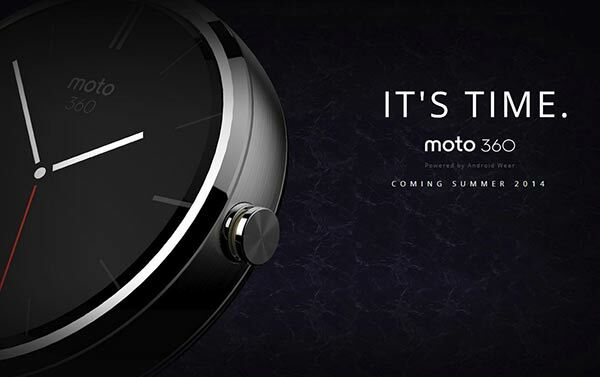 Motorola’s highly anticipated smartwatch looks set to arrive in July according to French tech site Journaldugeek. 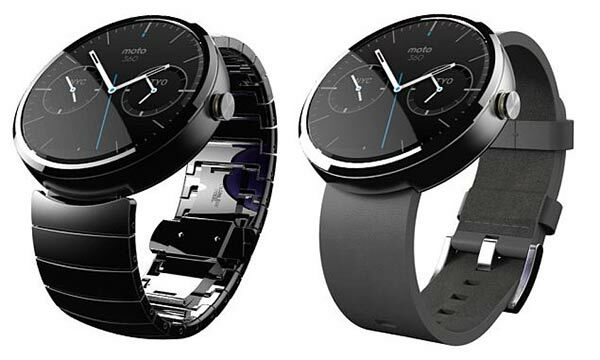 The Moto 360 will be priced at €249 when it arrives we hear. Also today we have learned that this Android Gear OS based smartwatch will be recharged wirelessly, which is the best, most elegant solution in our opinion. The Motorola Moto 360 is a stunning looking smartwatch and it will debut the Android Gear round face interface when it is launched. (LG are making what will possibly be the first Android Gear smartwatch with a square face, the LG G Watch) The Moto 360’s form factor makes it look very much like a classic timepiece whilst possessing a full range of smart features. Android Gear makes good use of ‘Google Now’ voice functionality, as we all know a watch face is quite small for touch input. As well as the round display face being easily styled to sit your mood the Moto 360 supports easy changing and lots of strap varieties/colours. Taking a leaf out of the Moto X playbook the Moto 360 can have its design and colour scheme ‘mixed’ for you from the ordering web page, we hear. Meanwhile, how do you charge your smartwatch? No one wants to use a USB cable which would require some kind of socket and grommet on your sleek watch design… Holland based site Techzine says that the Motorola Moto 360 is going to utilise induction based wireless charging. Currently among smartwatches only the Qualcomm Toq utilises this technique. Looking at the Moto 360 promo video you never see any visible connection ports so this seems to tally up. The Tech Assimilator’s sources were TechRadar and Pocket Lint.